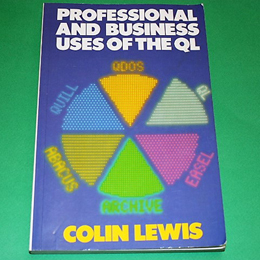 For users who want to make the most of Quill, Easel, Abacus and Archive - the four business applications supplied with the QL. The book assumes that the user has no time or inclination to get into programming and concentrates on how to use the four packages to maximum effectiveness. You are introduced to the basic features of each and shown how they can be used for the most common business applications. The book concentrates only on the essentail knowledge required of the hardware and operating system. Many examples are included, all of which have been tested on a QL using the common Epson FX-80 printer. A 180 page paperback in excellent condition.